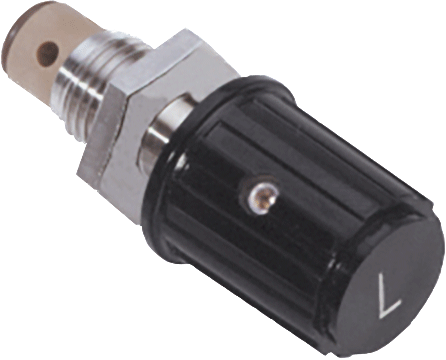 For use as a replacement valve with Brooks® purge meters. The Cartridge III Valve is a multipurpose valve, designed for use with Brooks® purge meters in gas and liquid flow applications. It is interchangeable with previous versions of Brooks valves. These valves come in three different sizes – low, medium and high flow. The stem is conical tapered at the end and it has two orifice sizes that provide a wide choice of flow ranges for all models. A Teflon piece is crimped into the valve body which gives better setability, repeatability and feel of operation.